Objectives The aim of this study was to investigate if exposure to chemicals in the workplace was associated with an increased risk of postmenopausal breast cancer. Methods The study comprised women born 1923–1950 living in Malmö city, Sweden, 1991–1996, and enrolled for a prospective population cohort study.  Occupational exposure to various chemicals was assessed from job-exposure matrices. An extensive set of individual data on hormonal breast cancer risk factors were collected via a baseline questionnaire and used for confounding control. First time diagnoses of invasive breast cancer were identified through the Swedish Cancer Registry until end of follow-up on 31 December 2013. Results Of 16 084 women, 1011 were diagnosed with breast cancer. Women exposed to chemicals in their occupational environment had a statistically significant increased risk [adjusted hazard ratio (HRadj) 1.26, 95% confidence interval (CI) 1.02–1.54] of breast cancer, and the risk correlated with duration of exposure. Investigation of risk in association with specific chemicals showed a non-significantly elevated risk after exposure to organic solvents. More than ten years of exposure to diesel exhaust was associated with an increased risk (HRadj 1.69, 95% CI 1.01–2.82). Occupational chemical exposures account for 2% of the breast cancer cases in this population. Conclusions Occupational exposure to chemicals in general was associated with an elevated risk of breast cancer. A slight elevation of risk was seen after exposure to organic solvents. A statistically significant elevation of risk after >10 years of exposure to diesel exhaust was an unexpected finding.